In his new book, 'Third World Protest', Rahul Rao attempts to ground the sterile world of international normative theory in the practices and discourses of subaltern protest groups. Ceasefire's deputy editor, Musab Younis, reviews Rao's arguments. Consider the following situation: one person makes a forceful argument about Gaddafi’s illegitimacy, his record on human rights, his suppression of internal opposition, when another – with equal force – denounces the bloody Western imperialism that has already ravaged Africa once, only now to return with hungry eyes on Libya’s oil. Instead, they are trying to decide who presents the bigger source of threat to the population of Libya. For pro-interventionists, Gaddafi is worth removing regardless of what the NATO intent behind such action really is, because the Libyan population faces imminent danger at his orders. For anti-interventionists, it is the Western intervention – with its heavy imperial history and connotations – that presents the primary and grave threat to the Libyan population. Some anti-interventionists will go further to argue that independence for states in Africa and Asia, only recently and heroically gained, must be the absolute focus for any movement that claims to be progressive. Imperialism – or a nebulous Empire – becomes the protean enemy, against which any actor must be supported. All we need to do in a given situation in order to locate our moral compass is to find Empire and pitch ourselves firmly against it. The alternative to this oversimplification is not to deny the very real existence of an imperialism that continues to have severe and destructive effects on much of the world. It is rather to recognise the complexity of a situation in which there are multiple sources of threat to a given population, particularly to Third World populations; and to recognise that our opposition to ‘external’ sources like controlling foreign capital and strategic imperialism does not necessarily require our wholesale support of ‘internal’ sources like a repressive regime and a dictatorial leader. Given the prevalent nature of moral decisions like these, which are taken daily by much of the world’s population, and given the complexity of such decisions, it is perhaps surprising that there is remarkably little scholarly literature that really engages with them. Part of this is a problem of myopia. Some Western scholars still cannot really believe that imperialism is a genuine threat; some Third Worldists cannot really imagine a threat being anything other than Empire-driven. But much of it is down to the sterility in which most normative theorising is conducted in the fields of philosophy, politics and international relations. Rahul Rao’s new book – Third World Protest: Between Home and the World – is a very finely-drawn exception to this sterility, examining precisely these questions with the rigorous and tender handling of a thoughtful writer. Rao’s task in the first half of the book is to take on the two superpowers of normative international relations theory: cosmopolitanism and communitarianism. For cosmopolitans like Charles Beitz, state boundaries are illegitimate and a radical global redistribution of resources is needed. This sounds progressive until one realises it is the basis of the argument used to justify the invasion of Third World states by more powerful ones. For communitarians like Mohammad Ayoob, liberated states in the Third World should be shielded from criticism until permitted to develop to European standards. This sounds progressive until one realises it effectively condemns huge populations to unrepresentative and often brutally repressive regimes. Both these positions are, Rao argues, unhelpful when they are not discussed with reference to the specific contexts in which they occur, and, what’s more, they do not represent how people in these countries really think. Cosmopolitanism may be generated from a progressive ethic of resistance but, as Costas Douzinas has pointed out, it lends itself quite nicely to imperial globalism. 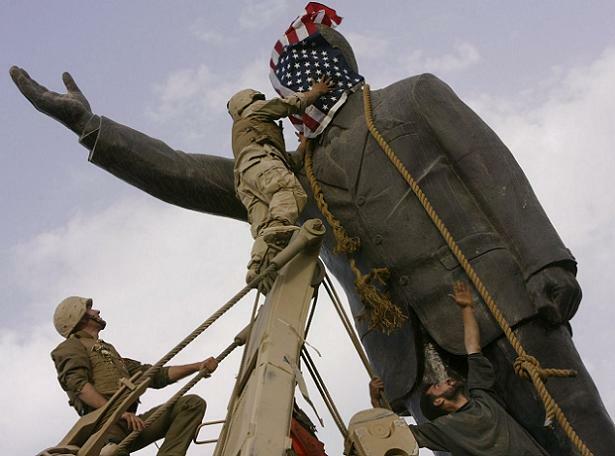 Communitarian positions like Third World nationalism may emerge from a genuine desire to free populations from disastrous and dispossessing imperial rule, but for how long can rich, fat dictators justify their palaces using the spectre of the CIA? These may be fairly extreme representations of each position, but then it is instructive just how extreme an idea like ‘cosmopolitanism’ or ‘nationalism’ – taken as a foundational value – can become when applied blankly to a real situation, even it may seem when based on entirely valid and important principles. You may reject state boundaries, but what about when those boundaries protect you from extra-state power that seeks to exploit you? You may be an ardent nationalist for this reason – but what about when the state itself begins to prey upon its population? After a fruitful and original exploration of the limitations of these abstract norms, or more accurately the ‘hegemonic’ variants of these norms, Rao moves in the second half of his book to ask what this nuanced Third World sensibility might look like. One chapter discusses Tagore, James Joyce, Edward Said, and Frantz Fanon. Could any of them be said to have been either a wholesale nationalist or cosmopolitan? Edward Said is particularly interesting in this context precisely because he was attacked by those like Aijaz Ahmed for failing to glue himself to one or the other position. Did this cosmopolitan New York intellectual really want a Palestinian state? What was all this about states as ‘coercive identities’ from a member of the Palestine National Council? For Rao, Said’s refusal to be limited is to be commended, rather than condemned, for its ‘sensitivity to the dispersed nature of threats to the freedom of the political community he was helping to imagine.’ Fanon’s work is of course riven with prescient contradictions and complexities about the role of the state. For Joyce, both Irish nationalists and the imperial centres of Rome and London were worthy of parody, and his aesthetic project was nationalist even as it retained a radical scepticism toward the national project. As Rao reveals, many of the most interesting anti-colonial figures, in politics and in literature, were well aware of the ways in which loyalties to abstract ethical positions can become contradictory and self-defeating. The final two chapters look at the way both nationalist and cosmopolitan registers are employed in real-life protest situations. Two social movements, the Zapatistas in Mexico and the Karnataka State Farmers’ Association in India, are looked at with the aim of pointing out that movements seeking international assistance are likely to learn to ‘frame’ their grievances in a certain way. The risks and uncertainties associated with global framing may then necessitate more nationalist registers but, as Rao emphasises, frames are not mere ploys – they typically do correspond to real aspects of a conflict. 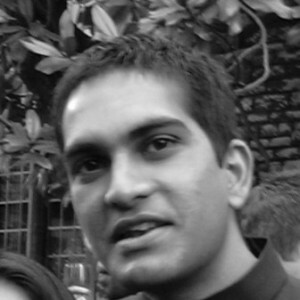 In the final chapter ‘Queer in the Time of Terror’ Rao draws out the full nuance and subtlety of his position for a handling of the contradictions in the ‘Gay International’: is the only true alternative for populations in the Third World, he asks, between malevolent enemies and condescending friends? This section of the book sees Rao at his most judicious and sensitive, developing here the best analysis of the relationship between sexual freedom and neo-imperialism in the Third World I have yet to read – all in little over twenty pages. Rao concludes with what may now seem an obvious point: ‘protest in the condition of post-coloniality demands a combination of cosmopolitan and communitarian sensibilities.’ But it is only upon extracting yourself from his book and re-entering the stark world of normative international theory that you realise just what he has done. Other work has suggested that we go beyond the stasis of the current bipolar communitarian/cosmopolitan debate, but this really is the first study that does so by looking at the discourses and registers of Third World protest groups and, as such, it presents a radically different way of thinking about normative theory that is grounded in the existing practices of subordinate but organised populations whose assessment of the threats facing them is often far more developed than those of outsiders. By comparison, major studies – like John Rawls’ The Law of Peoples (1999), Simon Caney’s Justice Beyond Borders (2006), Charles Beitz’s The Idea of Human Rights (2009) – exhibit, for all their theoretical rigour, a type of shallowness. One marvels at the distance between the types of positions advocated by these works and the complex, shifting realities of subaltern groups, whose normative choices are neither abstract nor detached. And the same can be said of much of the recent work on humanitarian intervention and the ‘right to protect’ doctrine. In this slim and readable volume, Rao presents us with a way of thinking about international normative theory that deserves to have a major and fundamental impact far beyond the sum of the book’s individual parts. It is his methodological focus on Third World populations and movements as a source for thinking pragmatically about ethics that is so new, and so long-awaited. There are limitations to his experiments, and any individual chapter in the book – particularly in the second half – might be said to be embryonic, with a particular, untheorised uncertainty about the way literature should be brought into this type of analysis. But one reads these chapters more as exercises in a different way of thinking than as the final words on any of the topics at hand. In encouraging this new thinking, and showing how it might work, and how it does work, Rao is remarkably successful, treading a line between campaigner and savant reminiscent of the Edward Said whose ambivalences are recognised here as strengths and not weaknesses. 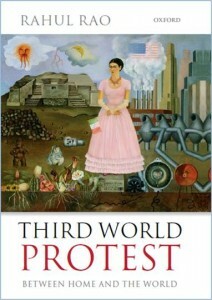 For anyone concerned with these topics, Third World Protest is highly recommended – indeed, compulsory – reading.